Not everyone is an aficionado of primitive art—particularly the Pre-Columbian art of the Americas. Children are not taught in schools about the early civilizations of the Americas. On the contrary, I suspect most kids think that, since the ancient civilizations fell so quickly to the conquistadores, they didn’t have anything to offer to us. I strongly suspect that among Europeans of some eighty years ago, that was a common opinion. After all, the Olmecs, Maya, Aztecs, Moche, and Inca do not in any way resemble the ancient Greeks and Romans—except that the Inca, like the Romans, were also great road-builders. They didn’t have much of a literature that has survived the Spanish conquest, except perhaps for the Maya Popol Vuh of the 16th century. As for philosophy, drama, novels, poetry… you can pretty much forget about it. There was a period of tens of thousands of years during which the peoples of the Americas were isolated from any possible contact with European civilization. In consequence, they developed along different lines. Again and again in his book on Guatemala and Mexico, Huxley shows himself to be unwilling to consider that the Maya are very different. Not inferior, just different. The Moche figures in the above photograph are all highly individualized. They remind me of the terra-cotta Chinese warriors discovered in Xian: Each of the 8,000 soldiers was different from all the others. Take the Totonac figure from the State of Veracruz in Mexico. 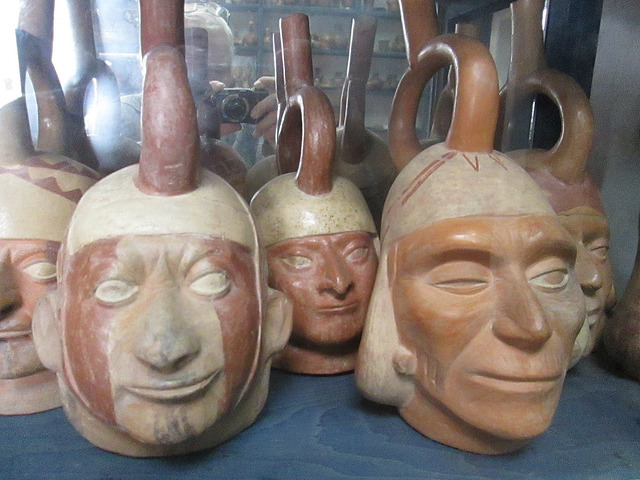 This is a typical subject for Totonac art. Do we know what it means? The sloping forehead (does it show a deliberately deformed skull such as many Maya subjects? ), the humorous expression: It is as if the distant past were laughing at us. And, in a way, it is. Many Pre-Columbian figures of animals from Mexico are downright hilarious. I don’t remember that type of humor from Greece or Rome, and certainly nothing similar from the Christian era. Let’s face it. We don’t quite understand what is going on here. We probably never will. 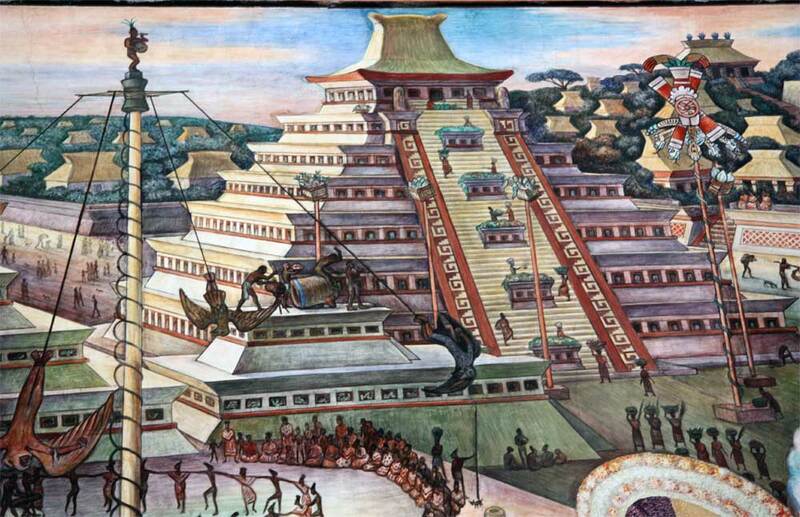 I myself have been to El Tajin and saw Totonac youths rotating around elevated poles as voladores. Was there any convincing explanation of what was going on here? No, of course not. What intrigues me about this period is that the subjects are incredibly fascinating, but it is all a great mystery. Like life in general.